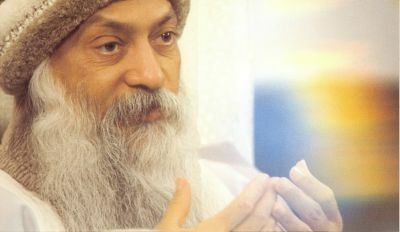 Osho's thought was rooted in Hindu advaita, which considers all reality as being of a single divine essence. In this mystical ontology, the human experiences of separateness, duality and temporality are understood to be illusions produced by the mind. The dualistic and transient phenomena of the world are the dance, the external play, of cosmic consciousness. In this dance, every thing, every happening is sacred, has absolute worth, and is an end in itself. 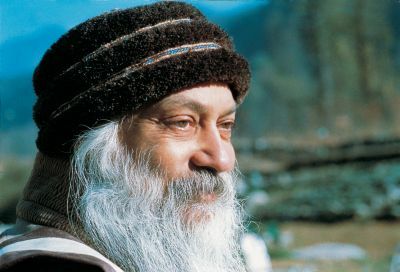 Osho's view of man as a machine, condemned to the helpless acting out of unconscious, neurotic patterns, reflects the thought of Gurdjieff and Freud. His vision of the "new man" who transcends the constraints of convention is reminiscent of Nietzsche's Beyond Good and Evil. His views on sexual liberation bear comparison to the thought of D. H. Lawrence. And while his contemporary Krishnamurti did not approve of Osho, there are clear similarities between their respective teachings. Osho taught that every human being is a potential Buddha, with the capacity for enlightenment. According to him, everyone capable of experiencing unconditional love and of responding rather than reacting to life: "You are truth. You are love. You are bliss. You are freedom." He suggested that it is possible to experience innate divinity and to be conscious of "who we really are", even though our egos usually prevent us from enjoying this experience: "When the ego is gone, the whole individuality arises in its crystal purity." 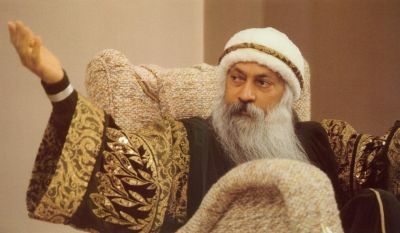 The ego, in Osho's view, represents the social conditioning and constraints a person has accumulated since birth, creating false needs that are in conflict with the real self. "The whole of religion is nothing but that: dropping the ego, disappearing as your own master ... Then life becomes such a grace; because all tension arises out of ego ... all anxiety, anguish, despair, frustration. All illness of the mind is because we have taken this wrong attitude ... Dissolve yourself as a separate entity. Become part of the cosmic whole." The problem, he said, is how to bypass the ego so that our innate being can flower; how to move from the periphery to the centre. Another key ingredient of his teaching is his own presence as a master. The initiation he offered his followers was another such device: "... if your being can communicate with me, it becomes a communion. ... It is the highest form of communication possible: a transmission without words. Our beings merge. This is possible only if you become a disciple”. Khushwant Singh, eminent author, historian and former editor of the Times of India, has described him as "the most original thinker that India has produced: the most erudite, the most clearheaded and the most innovative". 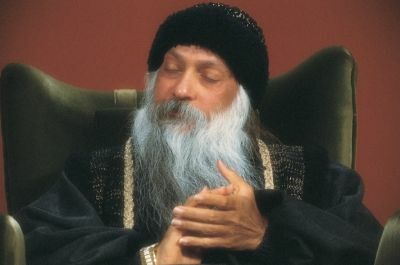 In his view, Osho was a "free-thinking agnostic" who had the ability to explain the most abstract concepts in simple language, illustrated with witty anecdotes, who mocked gods, prophets, scriptures and religious practices and gave a totally new dimension to religion. 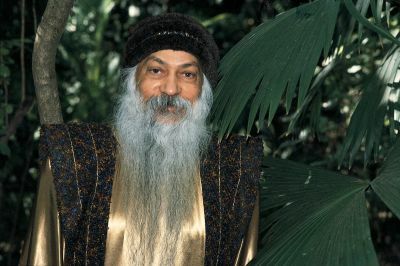 This is a long article about Osho and I made a selection in tune with the rest of this website.